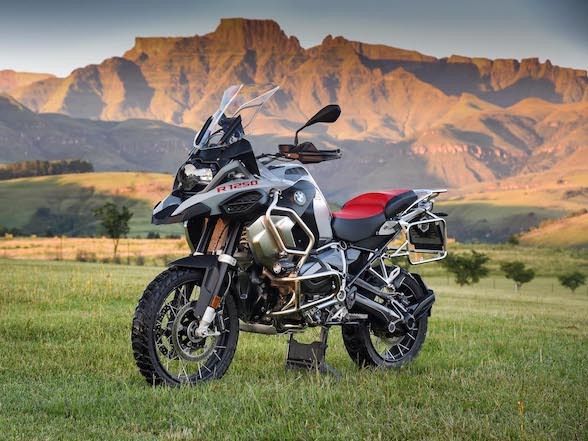 The Karoo is famously Metzeler’s knobbly off-road adventure tyre, and yet their new model has been designated as the Karoo Street, presenting us with an oxymoron – what they are essentially calling this tyre is the Dirt Tar and that is preposterous. Miraculously, this is exactly what Metzeler are claiming. Donovan Fourie went to Sicily and rode a selection of adventure bikes up an active volcano to investigate. The tyres play the role of the general manager in the business that is the motorcycle. 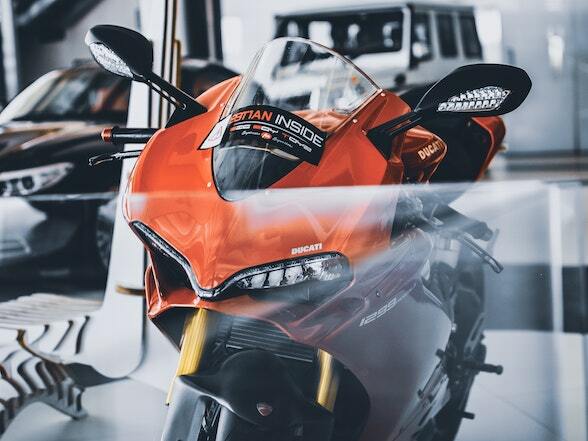 The entire functioning of the motorcycle runs intricate circles around the tyre – the frame, the suspension, the brakes, the steering, the drive and also the comfort all centre around the tyres. 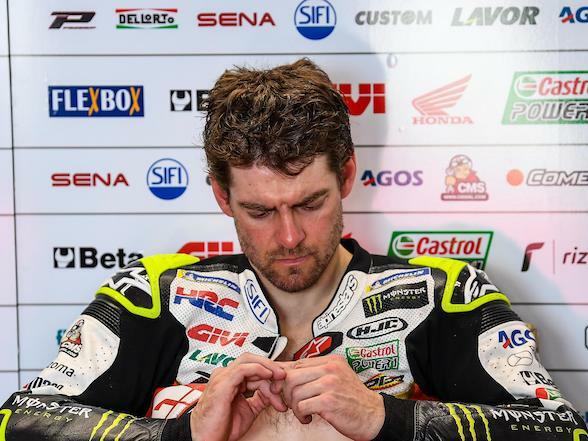 This is why a slight change in one of the spec tyres in MotoGP causes such havoc with the teams, and sometimes even cause the factories to completely rebuild their motorcycle based solely on this one tyre change. The tyre’s job as general manager is one of massive responsibility and requires a huge amount of robustness in a vast number of fields, but like every managerial role, their success is measured in how little the boss has to hear from them. This is true – the definition of a good manager is someone the boss doesn’t ever hear from, doesn’t have to worry about and finds nothing but a big positive number at the bottom of their income statement. Riding at near zero temperatures with the ice-capped Mount Etna volcano dominating the backdrop. This is true for tyres also. Think about it – the only time you ever actually acknowledge a tyre’s existence is when it is doing something wrong. When it slides, lock ups, wobbles, chatters, shakes, hinders, whines or explodes. When a tyre is working well, very well, you won’t even know it is there. They are managing every aspect of your machine and only giving you the positive number on the bottom line. 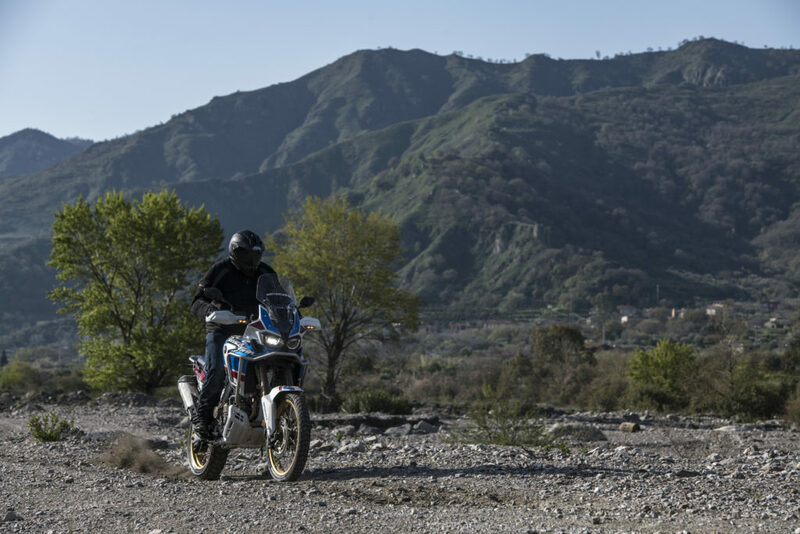 For road and off-road bikes this is relatively easy, given that these motorcycles have a very distinct purpose, and building a tyre to match that one purpose is relatively simple. 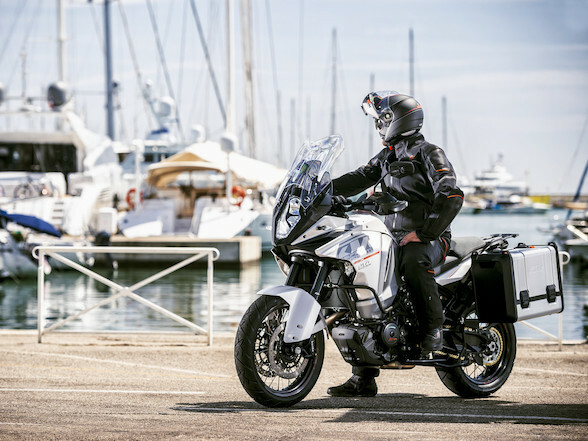 However modern adventure bikes have become something of a phenomenon. 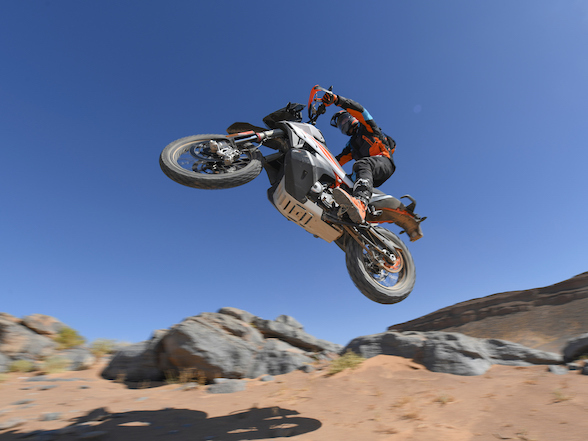 Gone are the days of simple KLR and DR dual-purpose machines that were pretty much off-road bikes with some on-road amenities to carry them between the off-road bits. Nowadays, an adventure bike in an all in one machine. It needs to be a tourer, an off-roader, a sports bike and a commuter all crunched together in one easy-to-use package, and thus far the bike makers have done a commendably good job. 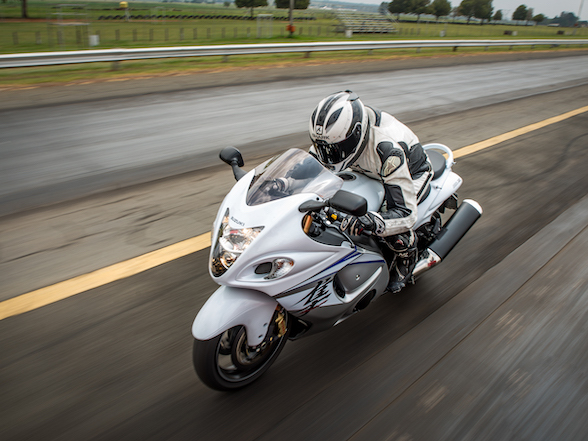 If anything, they’ve put the sports bike and tourer class in danger. 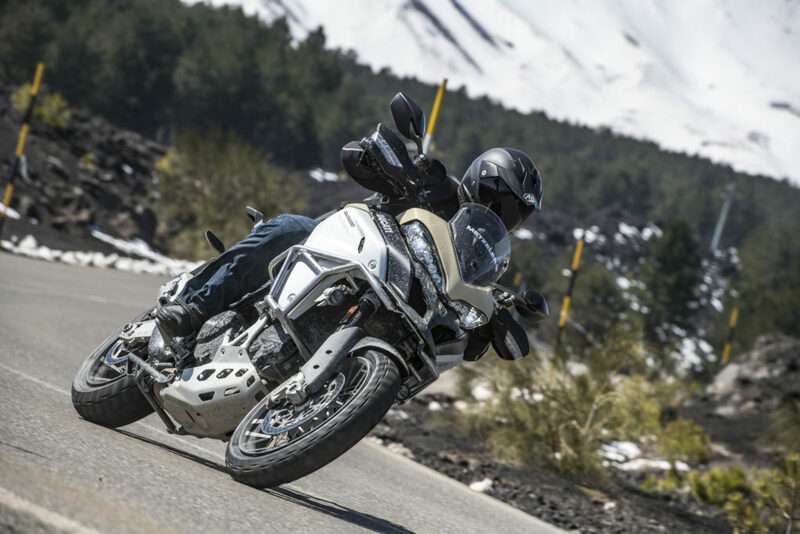 Tyres, however, have not managed to keep up with the multi-purpose trend, which is something that often completely undoes the hard work of the adventure motorcycle engineers. 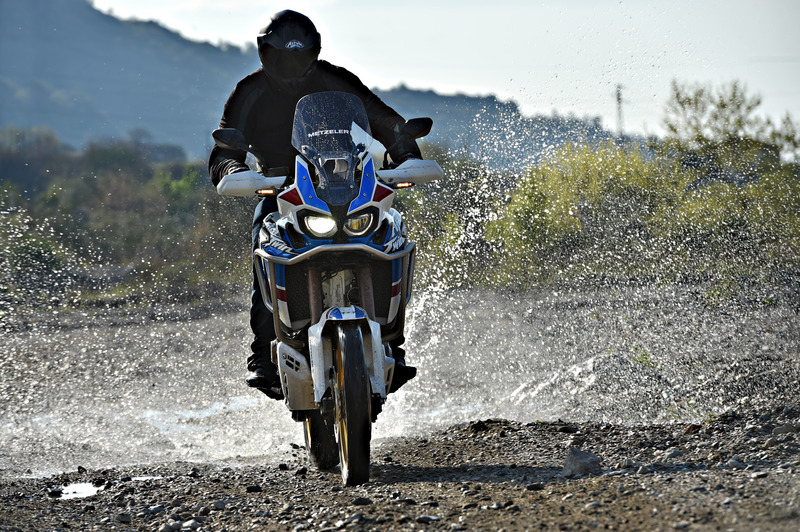 While the bikes can conquer all, the tyres are mostly still very limited to on-road or off-road. Indeed, you can get some big knobblies and conquer everything that is dirt, but if you attempt anything tar you will be subjected to a mild deafening from the whining noise, a crash-inducing amount of instability and a tyre life of about 15 metres. Otherwise you can get a slicker tyre that will work well on the road, but should you attempt to go off-road with it, you might never be seen again. 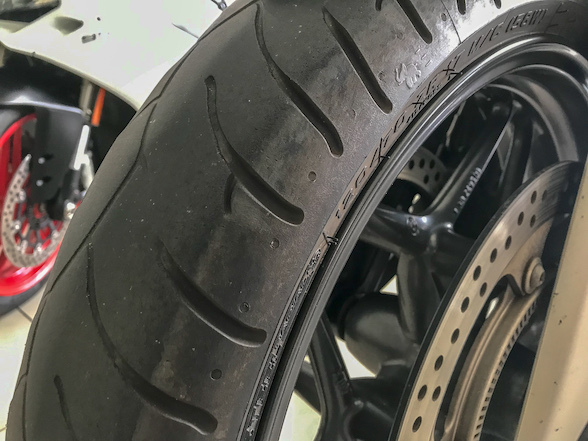 There is another piece of havoc caused by this quandary, and that is that the thousands of hours put into programming the advanced electronics on modern motorcycles is completely undone on knobblies. 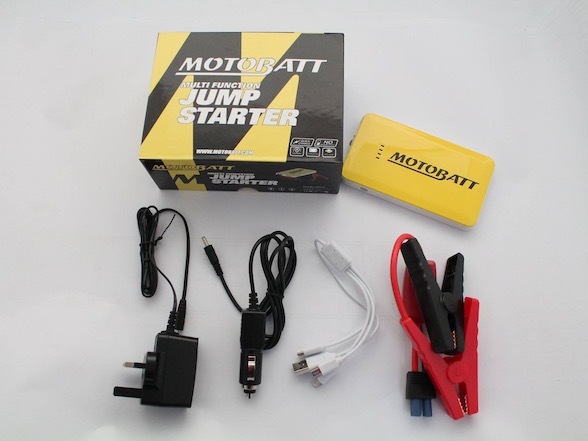 These electronics are extremely clever and can calculate exactly what the motorcycle is doing every nanosecond and can adjust the electronics accordingly. However this is all reliant on both a constant and consistent feed of information from the wheel sensors, but when the tyre is deforming and moving because of giant chunks of knobbly getting in the way, all this constant and consistent information is thrown into disarray, meaning that you might get more electronic interference than is actually necessary. But what is to be done about this knobbly conundrum? And here we introduce the point of my arduous journey to Sicily where I had to work hard riding a collection of the latest and greatest adventure machinery on some of the best roads and trails in the world while sighting the snow on top of the looming active volcano – the new Metzeler Karoo Steet tyre, a name that, as we have mentioned already, presents us with an oxymoron, because the Karoo range of Metzelers is famously known as their off-road knobbly tyres, and yet the Street bit goes against all of that, so what we end up with is a tyre called a Dirt Tar. Miraculously, this is exactly what Metzeler is suggesting – a tyre that can indeed do both. What makes the notion of a tyre that is good at both on- and off-road preposterous is the minimum requirements of both. The only way to get good grip in the dirt is to have a chunk of rubber that juts out an can dig into the dirt, anchoring itself. Inherently, that same chunk of rubber interferes with good tar road handling. They get over the knobbly versus slick problem through the use of ingenuity, and Metzeler’s multi-pitch block layout that makes use of a pattern of wide blocks of varying shapes that not only keep the blocks stable but increase the contact patch in the middle of the tyre by 45% compared to the equivalent knobby. There’s more though, because a 12% increase in the contour height of the tyre increases the contact patch while leaning by a massive 50%. The Metzeler Karoo Street uses many small transversal grooves instead of fewer big ones in order to get grip in dirt. Meanwhile, it still has a huge contact patch on tar. You can certainly feel this through the tar sections, because not only is that head exploding noise of knobblies completely eliminated, but there is none of that judder you get either. Instead, the tyre feels almost slick-like . . . massively slick-like, in fact. Actually, that whole unnerving knobbly feeling is gone completely, leaving you feeling especially rock star as you curve your way to Isle of Man glory. But what of the dirt? Good tar handling is normally detrimental to off-road grip, but here again ingenuity has been used. While knobblies make use of bits of tyre with massive gaps between them, the Karoo Street makes use of many smaller transversal grooves that dig into the dirt and grips, and grips amazingly well, especially as we made our way through a loose, damp river bed, splashing through streams, squelching through mud and navigating thick sand. You look at that tyre, and yes there are many grooves, but it is still a far cry from the knobblies that we use every year on the Desert Run. 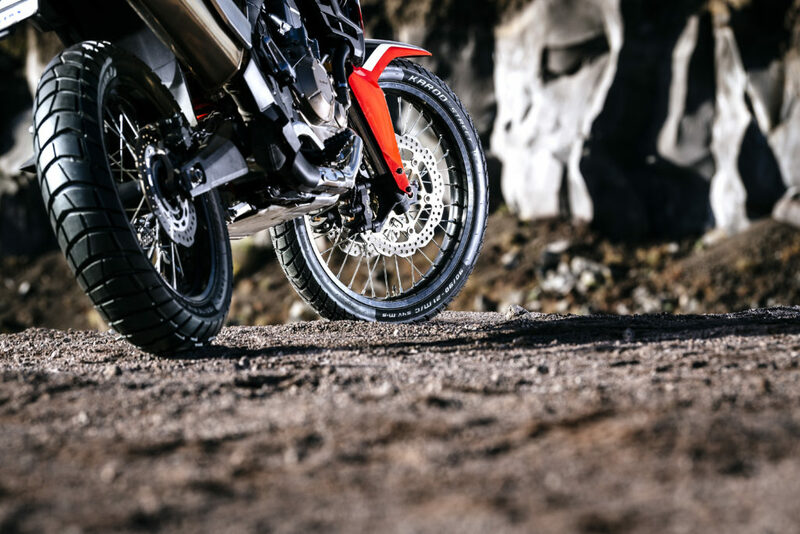 Logic dictates that these tyres shouldn’t grip on mud, that they should slip and slide and follow the contours of the sludgy road with no consensus from the rider. And yet they did not. It was mind boggling. Even on the muddy incline that we traversed as we left the low lying river bed, there was none of the slipping, sliding or death usually associated with tyres that are good on tar. It was incredible, and this new tread design clearly works, but there must be more to it than simple physical grip. There must also be chemistry. Oh yes, because a tyre is not only made of up shapes and grooves, but it also has to have stuff, and that stuff is rubber. Now, most people tend to think that the rubber used in tyres is still the goo milked from trees, but that went out of fashion when Metzeler introduced the first synthetic rubber back in 1933. Nowadays, tyres are mostly made of two mitigating materials – carbon black and silica. Carbon black has been the material of choice for off-road tyre makers for many years because it is strong and a knobbly made out of it will last many a mile under various forces without succumbing to disintegration, whereas silica has the same consistency as cheese. There are downsides to carbon black though, such as working only when it is up to temperature, and having absolutely no grip in the wet. This is much of the reason why previous knobbly tyres have been so treacherous in cold, rainy conditions. Silica, on the other hand, is very good at both the wet and the cold. 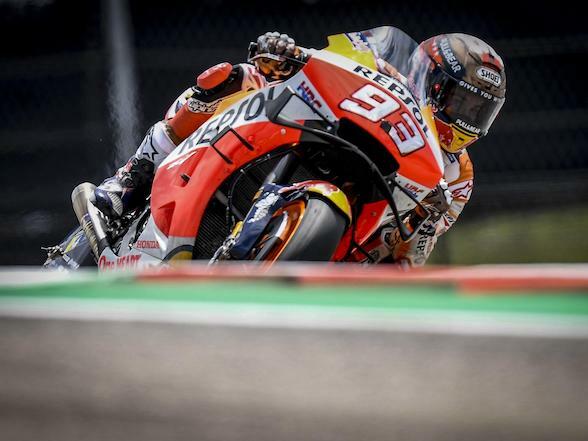 This is why they use it in rain tyres on superbikes and in MotoGP, and can claim much of the responsibility for the ridiculous lean angles achieved by the top riders in both frigid and soaked conditions. However, as mentioned, it has a tendency to rip to pieces when the going gets tough. Here again we have some of that Metzeler ingenuity we have been praising, because these clever dicks have got around this by making the knobs out of carbon black, as is traditional, and then covering them with silica. So they have both the strength offered by carbon black and the grip in all conditions offered by silica. The silica offering good grip even at near-freezing temperatures while streams of melted ice flows across the road. 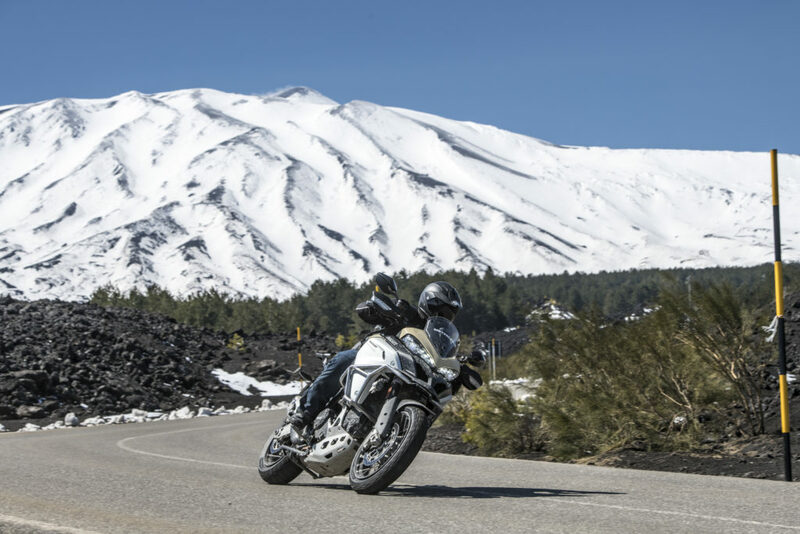 And you can feel it, even as we approached near freezing temperatures on Mount Etna as her underground lava caused streams of frigid melted snow to flow across her sinuous roads, there was never a feeling of impending doom. And we are certain that much of that compelling off-road grip has to do with the silica also, after all, even with the tread ingenuity, this tyre grips better in dirt than this amount of grooves would suggest. 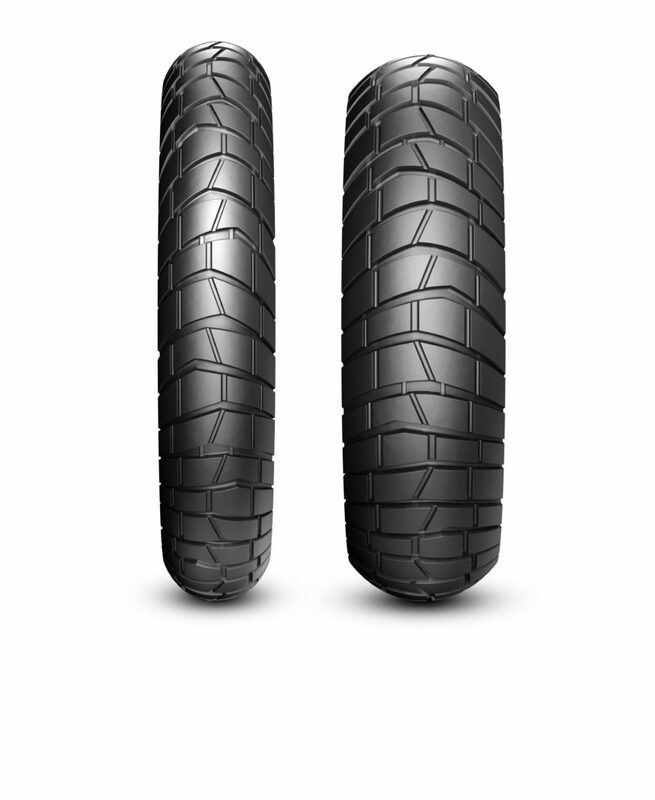 So here we have a tyre that has excellent feeling in both on- and off-road, no eardrum splitting noise, grip in all conditions and a tyre life, we imagine, that should well outdo its aligning knobbly. Quite frankly, I’m battling to find a down side here. Metzeler expect this tyre to be available in South Africa sometime in May. 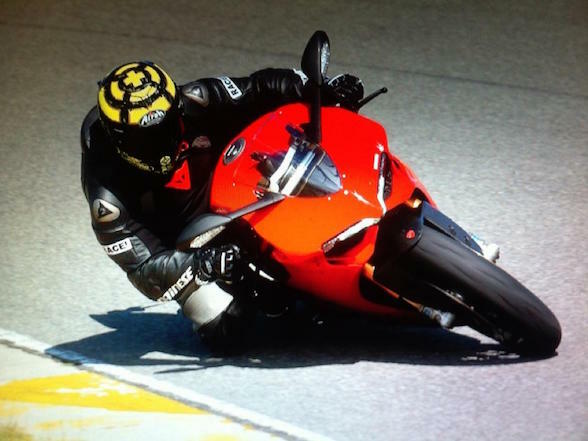 Previous Post Bike Buyer Guru: Is the industry to blame for the decline in motorcycle sales?